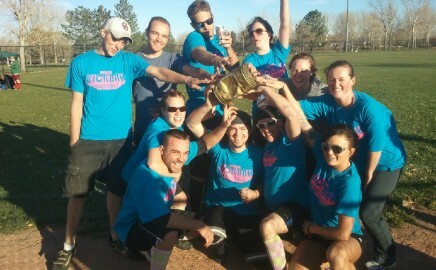 WASA was born in Denver, Colorado in the fall of 2003 with just 4 adult kickball teams competing for the coveted “Golden Keg”. Since 2003, the mass appeal and simple fun has grown to nearly 300 teams and over 4500 participants taking to the fields each year for Dodgeball, Flag Football, Kickball and of course some awesome annual events! Denver’s BEST adult coed leagues. THIS TEAM COULD BE YOU!!! – League Registrations OPEN! WHY: All proceeds from the tournament will benefit Make-A-Wish Colorado, which grants the wishes of Colorado children with life-threatening medical conditions to enrich the human experience with hope, strength and joy! 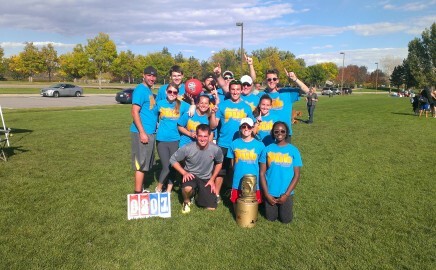 Each spring, and fall, hundreds of participants take to the kickball battlefields with one goal in mind… to hoist the coveted Golden Keg at the end of the season! But alas, only one team is lucky enough to sign their names to the golden beacon of kickball success. Welcome to the home of WASA… where we play sports the way they were meant to be played, for FUN!